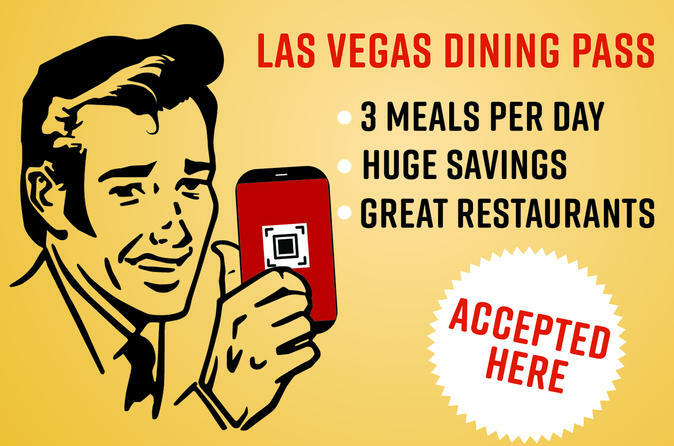 The Las Vegas Dining Pass offers you the best value on dining in town! For as low as $67 a day, you'll get breakfast, lunch and dinner at a selection of top Las Vegas restaurants. And better yet, no reservations are required! Every pass comes with a colorful brochure with maps, directions, restaurant descriptions, menu options and operating hours. You can choose from a pass valid for one, two or three consecutive days, and is valid for one breakfast, one lunch and one dinner per day. You can choose a different restaurant for each meal, or have all three at your favorite. Margaritaville - raise a glass and take a bite out of paradise!